We like to think of our office as a collection; a gallery of random trinkets, if you will. 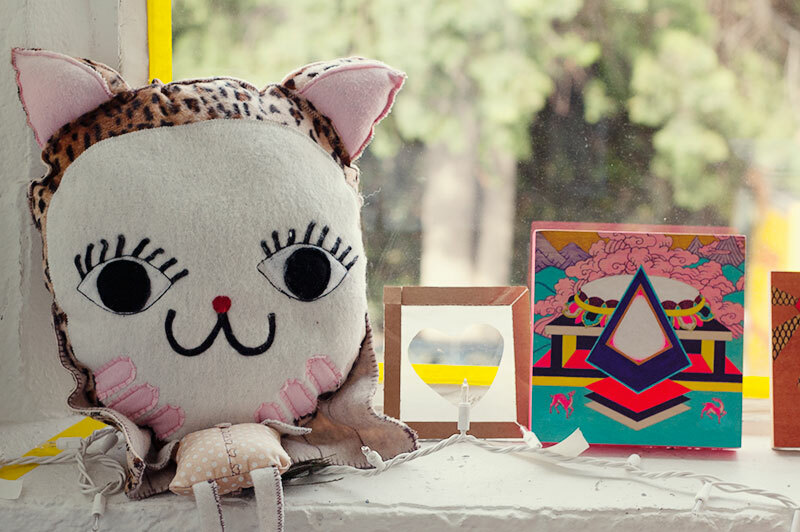 Our windows are lined with tchotchkes from friends, adventures and achievements. Take a gander at some of the things get to we look at all day! A Bora-cat by our friend Jojo, and an amazing piece of art by Dan Everett. Matt's bobble-head likeness from his brother Jeffery and his wife Natasha. We only have one rule. Commissioned by Dan Everett and Zoe-Zoe Sheen. 3D machine illustration Matt made in grad school at Art Center. This silly thing is a recorder/speaker that you can manipulate the pitch of your voice with. Gifts from far away friends, and a lava lamp thank-you-gift!